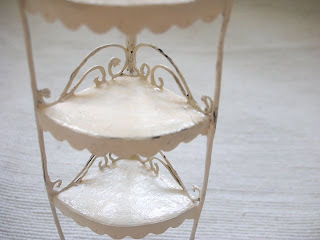 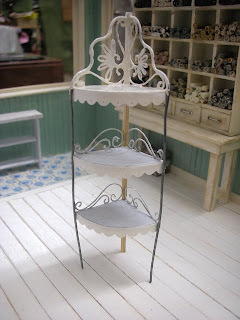 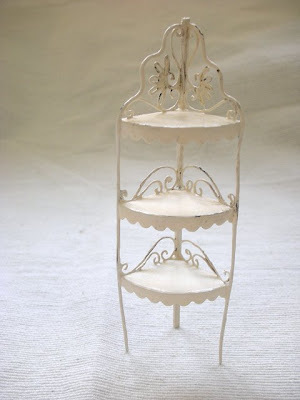 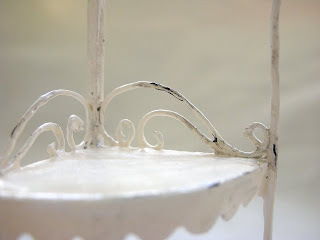 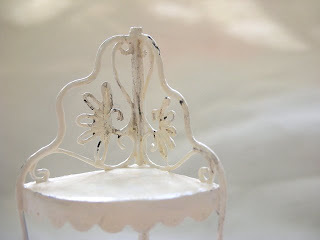 Another miniature item to be put in to my new dollhouse, a vintage wire corner shelf. 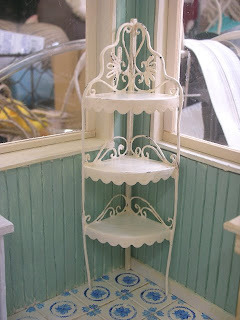 i like to give it a little touch of rustic, just a little. 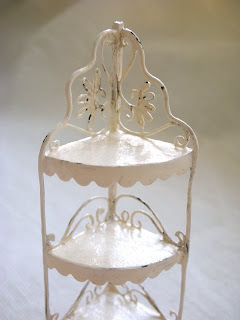 painted with layers of creamy white arcylic and some black acrylic to make the rustic effect.